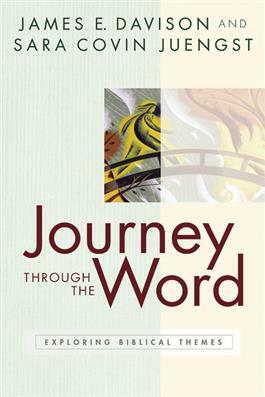 In Journey through the Word, Jim Davison and Sara Covin Juengst explore great themes that appear again and again across the pages of the Bible. This insightful study for adults is designed to be accessible to those with little knowledge of the Bible, while providing new approaches for understanding to those who have long experienced reading the Scriptures. Special features of this study include the careful coordination of themes with the periods of biblical history, from creation through the early church, and the identification of key words for each theme. Suitable for individuals and for small and large groups, the study concludes with suggested lesson plans for each chapter. The study is further highlighted by lesson plans that include multi-sensory exercises to enhance learning experiences and ideas for using the book so that studies can cover as many as six, eight, or thirteen weeks.